Combining a classic prism effect with contemporary design and dazzling decorative flair, this wall light is guaranteed to stand out wherever it is situated. Long slender bars of solid, sparkling crystal form the focal point. 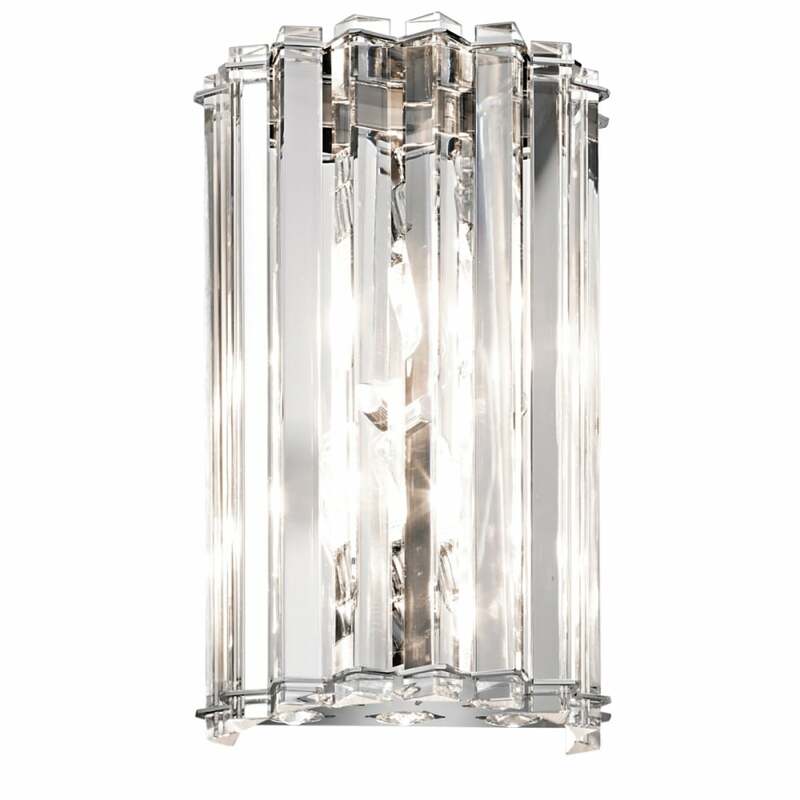 Complements with the Crystal Skye Ceiling Pendant or Chandeliers. Now IP44 rated so can be situated in bathrooms. View All Kichler for more information on Crystal Skye or view the complete Crystal Skye Collection.